For over twenty centuries, from ancient Greece the ideal of natural law has been appealed to in Western moral and legal philosophy as a grounding for ethics and jurisprudence, centered on capacities of a common “human nature”. From the early medieval advent of “Christendom”, it was embedded within theistic and religious systems for over a millennium, during which time it was treated as incomplete and part of an enveloping divine law of ethics. Modern agnosticism in theology, religion, and metaphysics then saw natural law unhitched from these associations, but it is still suspect due to its lingering ties with these disciplines and practices. It endured through its meta-ethical capacity to integrate changes in science with ethics via its central notion of wellbeing as the perfection of human nature, via access to “the highest good”, however variously understood. Today, nature and human nature’s wellbeing, are both endangered. Ecological destruction arising from unbridled growth, industrial pollution, nuclear weapons and mass population displacement though poverty and wars threaten humanity. But in terms of the meta-ethics of wellbeing, both the humanist normative ethics of natural law, and some of its enveloping theistic and religious divine law addenda, can be invoked to address such evils. 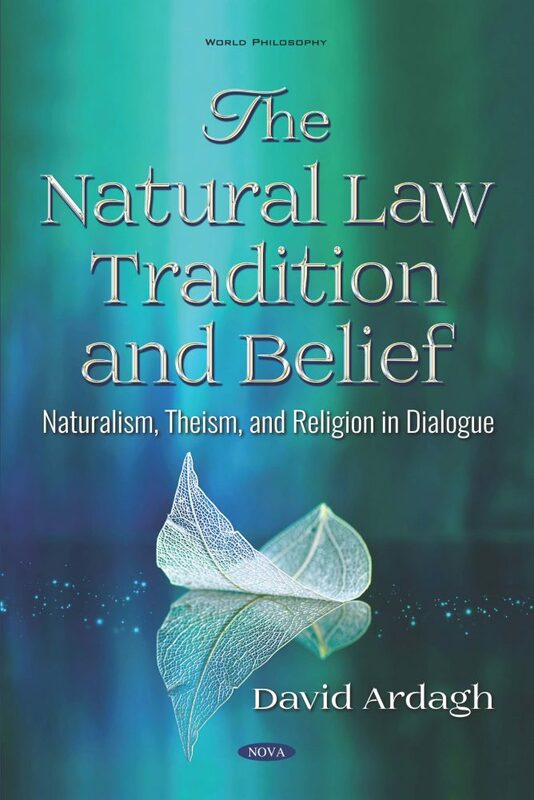 The book aims to reinvigorate natural law as a unifying ethical organon for this purpose, showing that it can dialogue with its enveloping divine law “overlays” constructively, uncovering its points of essential unity with them, and generating some unified solutions to the global threats mentioned, like poverty. These are largely due to global injustices like tax evasion, the arms trade, and political corruption, which are better prevented by cooperatively agreed and enforced global ideals, norms, and laws, based on natural and divine law, grounding international laws rather than appealing to national norms and laws alone.